You have probably read my post 10 Things NOT To Do During The Hungry Ghost Month and not took it too seriously. Well, the peak of the Hungry Ghost Festival has already passed, but there is still a little more than a week before the gates of Hell (and possibly Heaven) closes. Today, I would like to share with you ways to stay safe for the remaining part of this Hungry Ghost month. 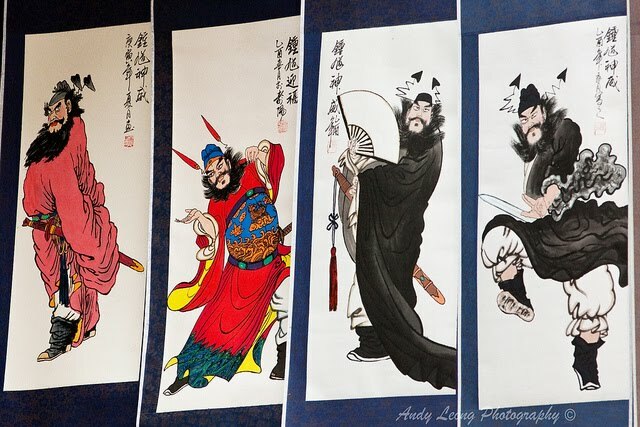 Whether you believe in ghosts or not, these are precautions that I had researched and gathered from older people and also from feng shui expert Lillian Too. 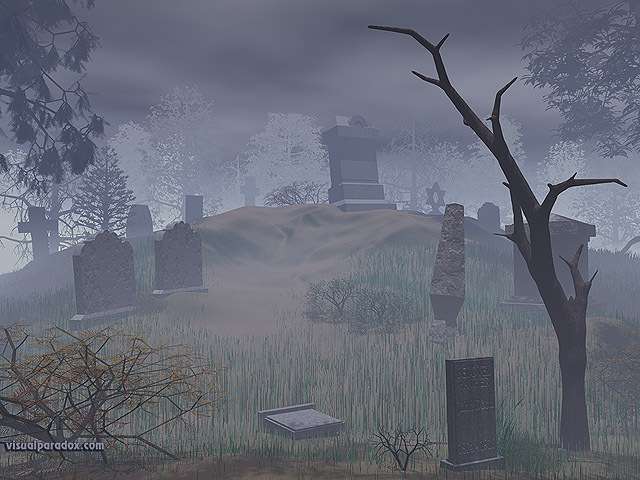 You might ask, what has feng shui got to do with ghosts? Well, if it's classical feng shui like what is being taught by Joey Yap, not much. But in Lillian Too's case, she is also into Taoism practices, so it probably explains why she mixes both feng shui and Taoism together. So, here are 10 ways to stay safe during this Hungry Ghost Month, and in fact, not just during this period but also any time of the year. Of course, most of the ways I outlined below will not work against things like toyol. LOL! 1. Do not start construction or renovation of your house or office during this Hungry Ghost Month. Contractors and builders in Asian countries normally adhere to this rule, but there are always exceptions. You may start before or after the Hungry Ghost month, but NOT during the month itself to prevent attracting bad luck. 2. Do not travel too much during this month. But if you really have to, only travel on the good days. To know when the good days are for traveling, refer to the feng shui calendar like this one! 3. Do not move house during this month. It's an inauspicious month to move house. Besides, you do not want a hungry ghost to move in with you, do you? 4. Do not get married during this month! Yes, choose a more auspicious date to get married. How do you like to have hungry ghosts roaming on the streets outside while you are having a wedding feast inside a restaurant? 5. In feng shui, we talk about yin and yang. There must be balance for us to have good feng shui. Now, human environment are usually more yang, but ghosts and spirits prefer environment that are more yin. As such, if the energy in your house or office is too yin, then it is more likely to attract ghosts! How do you know if your house is too yin? Well, a yin-dominant house is usually dark, with little sunshine and fresh air. Even houses built near churches, hospitals and graveyards are attractive to ghosts! These are all very yin places and ghosts feel very comfortable in these environment! To avoid yin spirit formation in your home (and this is not just during the Hungry Ghost month), keep your house clean and free from clutter, open the windows to let in fresh air and sunlight, install more lights to brighten up dark corners, and play loud music especially in rooms that are not often used. Clutter and dark corners create stagnant energy which promotes a yin environment. This is also the reason why rooms in the house or office that are not often used attract ghosts to dwell inside them. 6. Do not swim in the lake during this Hungry Ghost month. Lakes and underwater are more yin and as such, ghosts prefer to dwell in there. 7. Do not start a new business or project during this month. Since it's an inauspicious month, delay your new business to the month after or your business may suffer from lots of obstacles and may not survive. 8. Invite Chung Kwei - the Chinese ghost catcher - into your home. Simply display his image in your home or office to frighten away wandering spirits and ghosts! 9. Wear protective amulets especially during this Hungry Ghost month. These amulets should come with powerful protective mantras, and you should wear them touching your body. 10. 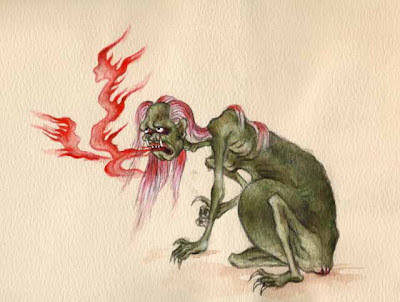 Hungry ghosts have very narrow necks so they are unable to eat and drink like humans. As such they are constantly hungry - imagine how suffering is that! Now they become very happy when they are fed with smells of incense and aromas of food! Is it any wonder that these desperate and suffering spirits create trouble for humans especially those whose life force or energy levels are weak? According to Lillian Too, the best way to appease these hungry ghosts is to light up some sweet smelling incense like kemeyan or sandalwood. They are sure to like it and stop creating troubles for you! Now you know why the Chinese and Indian temples are burning incense all the time! To take it a step further, you can do this not just during Hungry Ghost month, but also anytime you want to remove obstacles caused by wandering and local spirits of the land. During dusk, or right after sunset, light up the incense and holding the incense burner, walk clockwise around your house and every room while chanting this mantra. After you have finished walking, dedicate the incense and offerings to the holy beings, angels, local landlords and wandering spirits to look after you instead of harming you. According to Lillian Too, if you treat these spirits with friendship and not fear, you will actually find them very nice and accommodating!